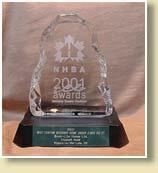 Brook-Lite Homes is an award-winning custom homebuilder. Whether you are building your first home, retiring to the castle of your dreams, or renovating a classic - Brook-Lite Homes will create the home that is right for you. Renowned quality and design ... a place you will be proud to call home!